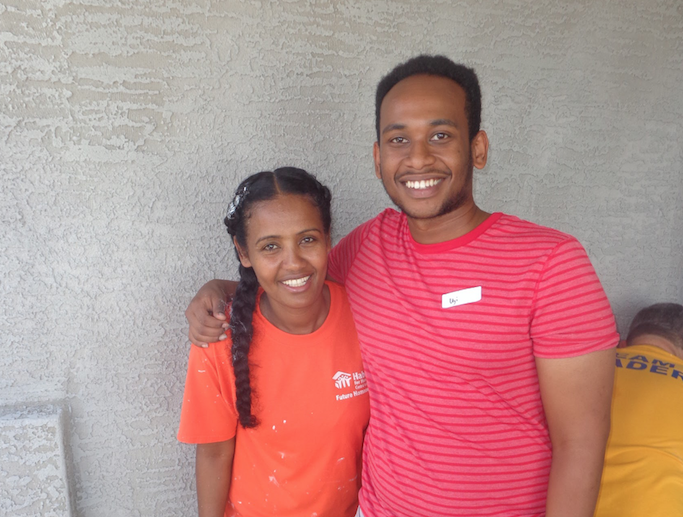 Jamel was born in Ethiopia, but moved to Arizona with his family where they have called home for the past several years. Jamel and his wife, Shemsiya, are raising two children, three-year-old, Jalane, and one-year-old, Hayu. This young family, along with Shemsia’s mother, currently live in a two-bedroom apartment that is much too small for a family of five. Although they have been happy to be there together as a new family, they long to find a place to live that is both affordable and livable. The family is desperate to find a more suitable and safe home that accommodates their needs and aspirations. Jamel works one full-time job and one part-time job as a driver for two separate taxi services. The family enjoys playing ball outside, watching movies and swimming during their free time. Meanwhile, the family has struggled to find a large enough place to live and are excited to settle into a forever home they can call their own. By partnering with Habitat for Humanity, this family is now on their way of buying their piece of Arizona and building a loving home. Along with their sponsors, the family looks forward to building better futures together. Your on-going support is crucial to build stability with more families like this. To schedule your gift to Habitat and enjoy up to an $800 tax credit, please click here.